The haze affected Southeast Asian nations in third quarter 2015, exacerbated by uncontrolled fires and inadequate land management. Governments, businesses, communities and NGOs have discussed the issue at length, each desperate to establish a stronger and more robust governance to end uncontrolled fires and transboundary haze. Production-protection partnerships are forged over the last few years and are showing promising results. RGE Chairman Sukanto Tanoto adds the fourth ‘C’ to RGE’s business principle: Climate. He participated in a WEF Davos 2016 closed-door panel discussion moderated by UNDP Administrator and former New Zealand Prime Minister Helen Clark. RGE companies have in place a combination of longstanding measures as well as recently adopted and evolved approaches to land management. APRIL Group and Asian Agri both have no-burn policies, and use machinery and community engagement to provide communities and smallhodlers with landing clearing alternatives that do not involve burning. Highlighting the painful lessons learned, RGE Chairman Sukanto Tanoto shared in a closed door World Economic Forum (WEF) 2016 panel discussion on production-protection partnerships that APRIL Group adapted and improved its land management methodologies. 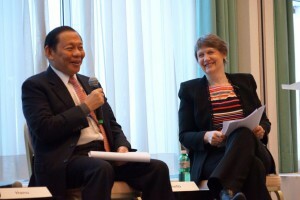 Moderated by UNDP Administrator and former New Zealand Prime Minister Helen Clark, the panel also included President and CEO Nature Conservancy Mark Tercek, Chairman Nestle Peter Brabeck-Lethmathe, National Coordinator Oil Palm Smallholders Union (SPKS) Darto Mansuetus, and President Brazilian Development Bank (BNDES) Luciano Coutinho. 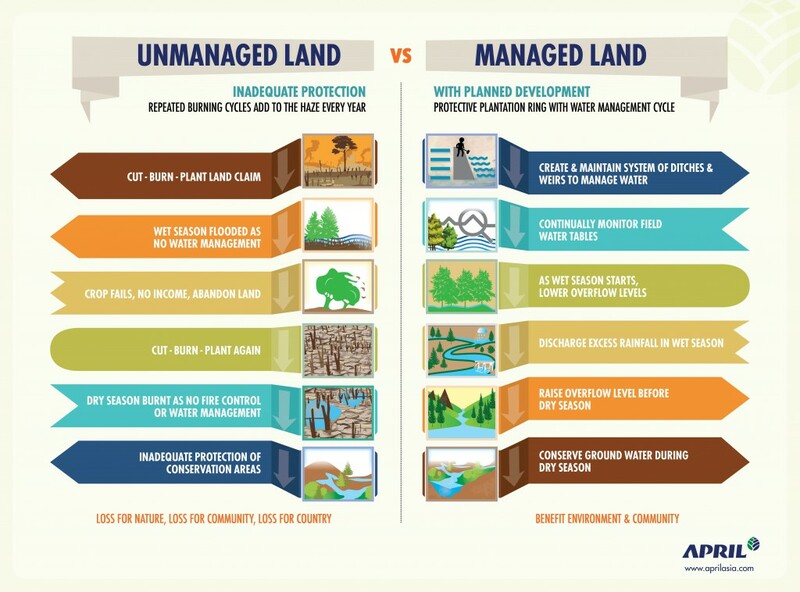 APRIL Group’s landscape approach is buttressed by a spectrum of commitments aimed to holistically address issues at the levels of environment, community, government, business, and economy. The company recognises that these interdependent spheres can collectively contribute to well-managed lands. To that end, it focuses on measures and initiatives which include conservation, restoration, protection, good water management, multi-stakeholder collaboration, community-focused socio-economic enhancement programmes, and pro-active fire prevention. At WEF 2016, Mr Sukanto Tanoto shared that community was a critical domain that required attention. 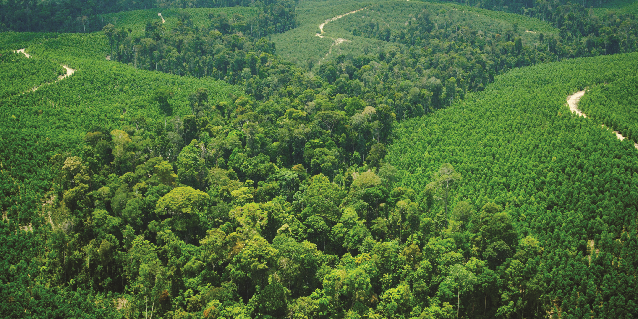 Since establishing their operations in Riau, Indonesia, RGE companies have worked with communities to empower residents to become independent and self-sufficient contributors to their families, communities and local economy. 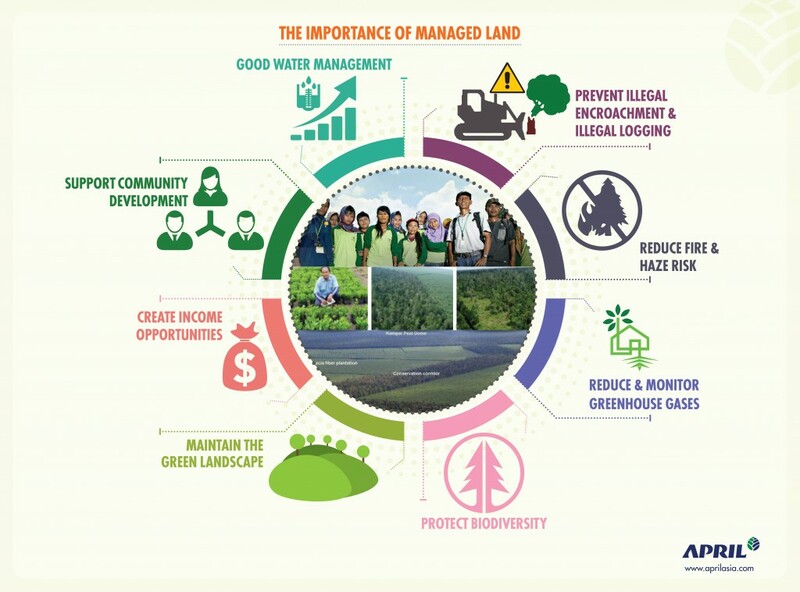 Together with the creation of buffer zones for cultural and economic activities, skirting high-conservation value forests, RGE companies’ cultivation of fire aware communities move Indonesia in the right direction towards eliminating the challenges of illegal encroachment, illegal logging and illegal fires. The focus on education, skills training and upgrade and programmes that cultivate small and medium enterprises and income diversification, have brought significant benefits to the communities near RGE companies’ operation areas. This shared value-creating business model shows how private companies can be part of the national agenda on poverty alleviation, and are able to do so with characteristic business urgency. RGE companies readily accept that business sustainability is entwined with that of the environment. 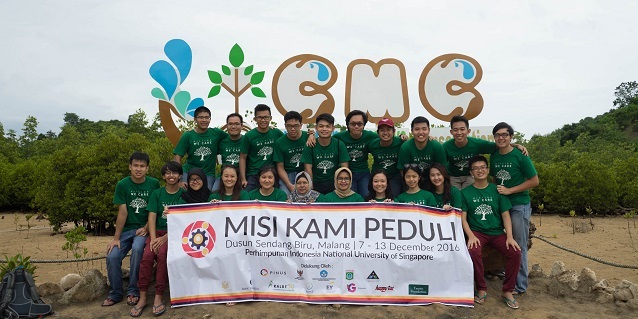 Mr Sukanto Tanoto recently announced the fourth C in RGE’s guiding business principle: Climate. 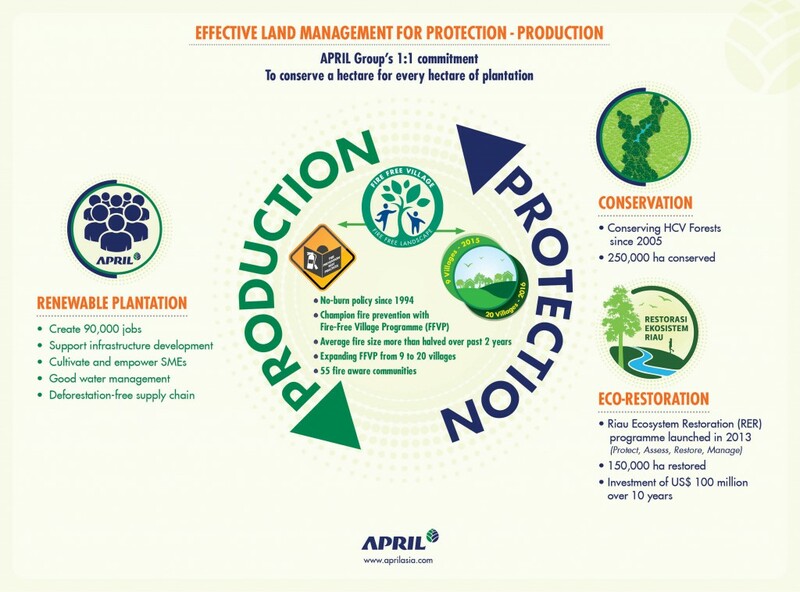 APRIL Group is firmly committed to protecting against illegal encroachment and deforestation of high conservation value (HCV) forests in its concession areas. 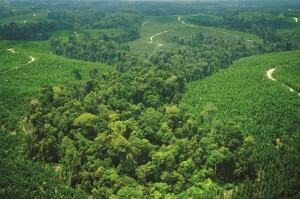 It evolved its protection-production practices from mosaic plantations, which involves the interspersing of plantation forests with HCV forests, to the ring concept plantation, which involves a protective perimeter of plantation forests around HCV forests. 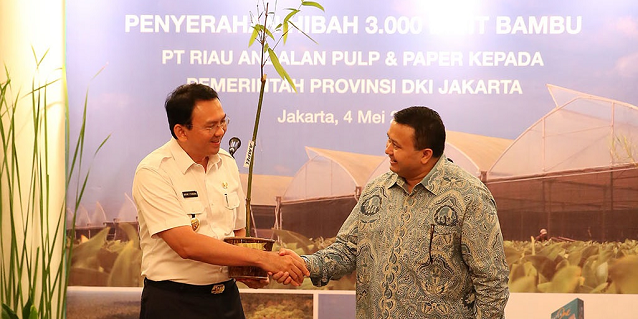 It also engaged experts to create and implement best practices in water management on peat land. RGE companies are aligned with the national agenda on poverty alleviation, infrastructure development and sustainable development, and execute programmes with business urgency and efficiency. Through working with the local government to improve and enrich social, economic and cultural capital in communities within its operation areas, RGE companies have made its communities aware and empowered to prevent and control fires. Well-managed lands may involve multi-prong programmes, but at its core, remains collaborative. Sustainability is our business imperative. 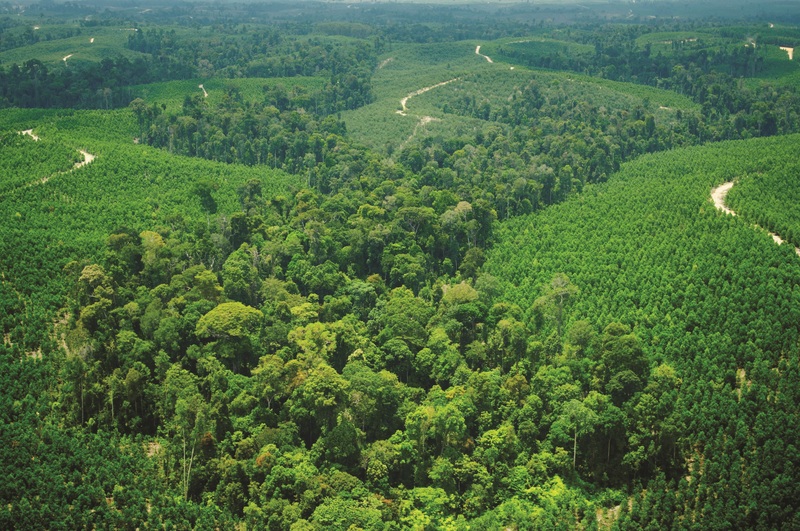 With proactive business input to do what is good for community, country and climate, RGE companies have proven we can make great progress in land management and end the transboundary haze problem.